The Avian and Exotic Clinic focuses exclusively on exotic pets including, but not limited to birds, reptiles, rabbits, ferrets, rodents, hedgehogs. 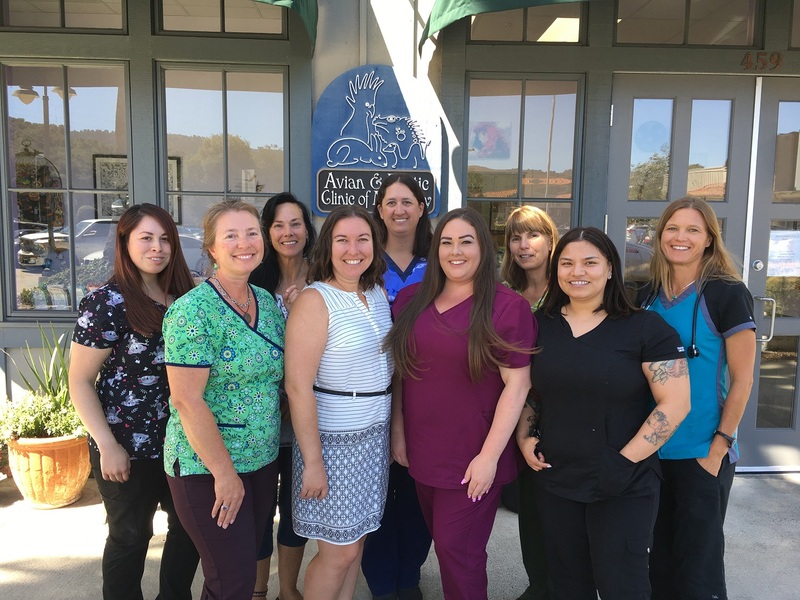 Additionally, the Avian and Exotic Clinic is the only veterinary practice on the Monterey Peninsula which routinely cares for fish through either office visits or mobile calls. The Avian and Exotic Clinic is committed to the enrichment of our local community. We provide care for sick and injured animals at the SPCA Wildlife Center. Additionally we act as emergency veterinarians for the Ventana Condor Wildlife Society, the Pinnacle Monument Condor Group and Santa Cruz Native Animal Rescue. Finally we routinely perform discounted or complimentary surgical procedures for various non profit and rescue organizations as well as complimentary exams for classroom pets. We are closed from 12:30pm-3pm weekdays for surgical procedures.